Greg Peterson was re-elected mayor by his peers on Council on Jan. 19, 2018. He was first elected to Dublin City Council in November 1997 and served until December 2001. 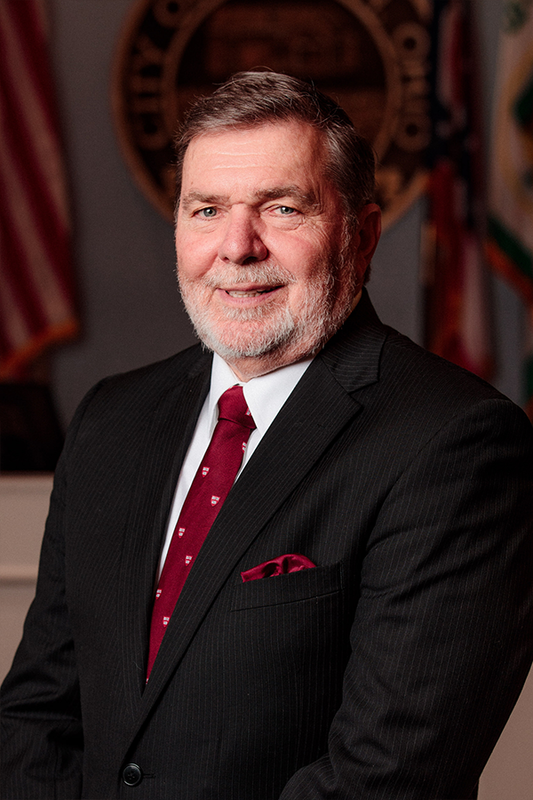 Peterson was re-elected to Council in November 2013 and November 2017, and is currently serving his third four-year term. He also has served his community as a trial judge for the Franklin County Court of Common Pleas and as an assistant prosecuting attorney in the Franklin County Prosecutor’s office. 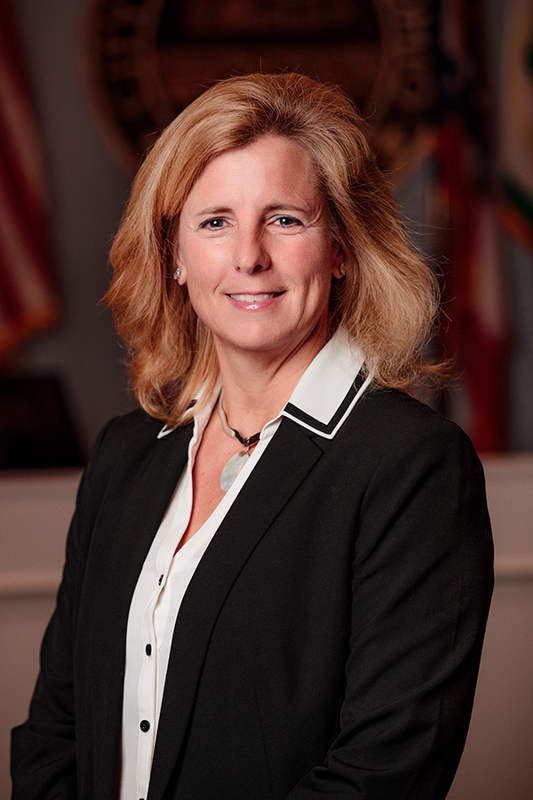 Peterson is a partner in the law firm of PetersonConners, and also serves as a hearing officer for the Ohio Secretary of State and prosecutor for Hilliard Mayor’s Court. In addition, he has been appointed to serve as a special prosecutor throughout the State of Ohio, and is a former magistrate for the City of Dublin. Peterson was a member of the Dublin Convention & Visitors Bureau Board of Directors from 2009 to 2013. He is a graduate of Case Western Reserve University School of Law and The Ohio State University. He has been a speaker for the Ohio Attorney General’s Conference on Law Enforcement and is a guest lecturer on complex criminal prosecution at Columbus State Community College. He and his wife Sonni have two children Tatum and Zachary, and reside in Coventry Woods. Vice Mayor Chris Amorose Groomes is a life-long Dublin resident and owner of Amorose Landscape Services. Prior to her election to City Council in 2015, Amorose Groomes served as chair of the Dublin Planning and Zoning Commission. 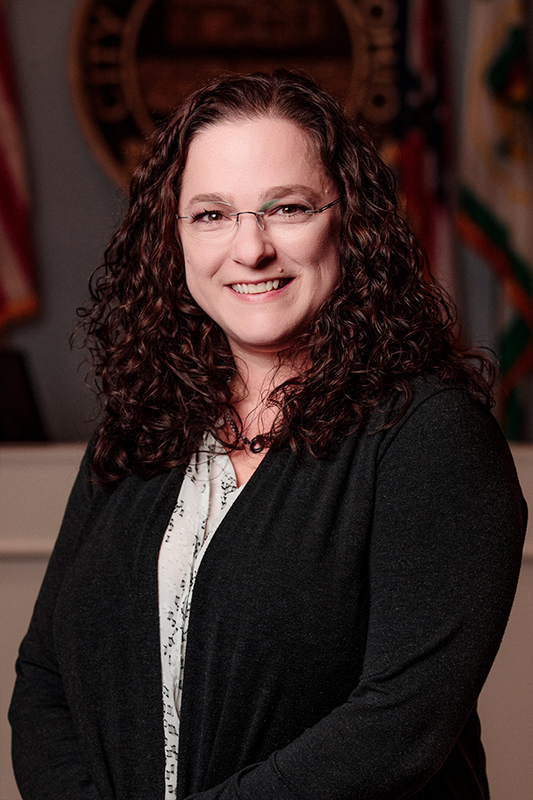 She serves as Dublin City Council’s representative to the Mid-Ohio Regional Planning Commission, where she also is a member of the Executive Committee. Amorose Groomes is chair of Council’s Administrative Committee and a member of the Community Development Committee, and previously served on the Public Services Committee, as well as a liaison to the Dublin Board of Education. Her volunteer service includes Young Life Metro Columbus Board of Directors, Big Brothers Big Sisters of Central Ohio and the flower-planting crew at the Memorial Tournament benefiting Nationwide Children’s Hospital. Amorose Groomes is a graduate of Dublin High School and The Ohio State University. She and her husband, Kevin, reside in Muirfield Village with their sons Tyler and Tucker. 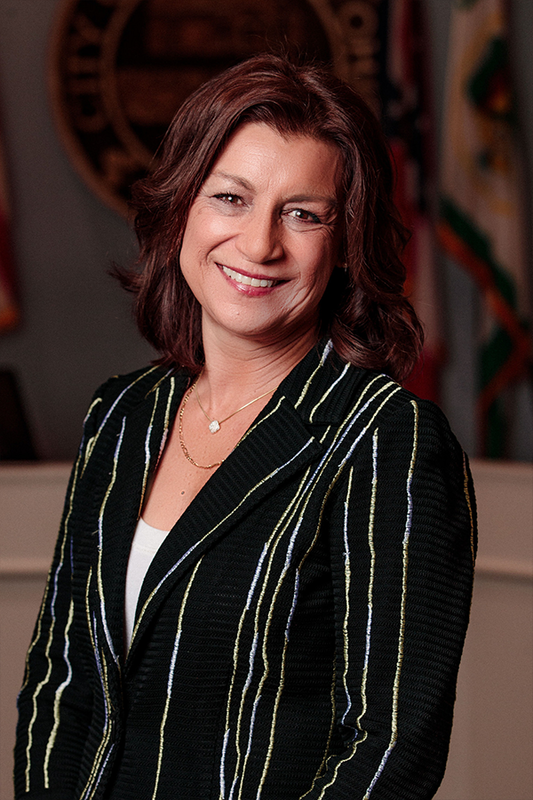 Council Member Christina Alutto has spent much of her career in public service, and currently serves as the director of finance and administration for the Moritz College of Law at The Ohio State University. Prior to her role at OSU, she was the director of administration for the Solid Waste Authority of Central Ohio, and had previously been employed by The Ohio State University in information technology, human resources and the Fisher College of Business. Alutto has served on several committees at Ohio State, including the University Staff Advisory Committee. She also is a member of the Fisher Alumni Board at The Ohio State University, as well as a guest speaker for the John Glenn School of Public Affairs. Alutto earned her bachelor of business administration degree from Georgia College & State University, and her master’s degree in business administration from The Ohio State University. A Muirfield Village resident, her favorite moments are spending time with her husband, Rory Gaydos, and their five children, Amelia and Anthony Kunar, Andon and Noah Gaydos, and Mason Gaydos. Cathy De Rosa and her family moved to Dublin in 1994, where she has been active in the business and civic community ever since. De Rosa was an executive at Dublin-based OCLC for more than a decade – leading global marketing, and customer service and sales organizations across North and South America. She has traveled extensively for her work at OCLC and as vice president of marketing at Symix Systems, a technology company also founded in Central Ohio. Today, De Rosa leads CollegePatterns LLC, a consultancy serving higher education and non-profit organizations. De Rosa also has served as a lecturer in marketing at Fisher College of Business at The Ohio State University, and has held management and senior consulting roles at Texas Instruments and PriceWaterhouse. 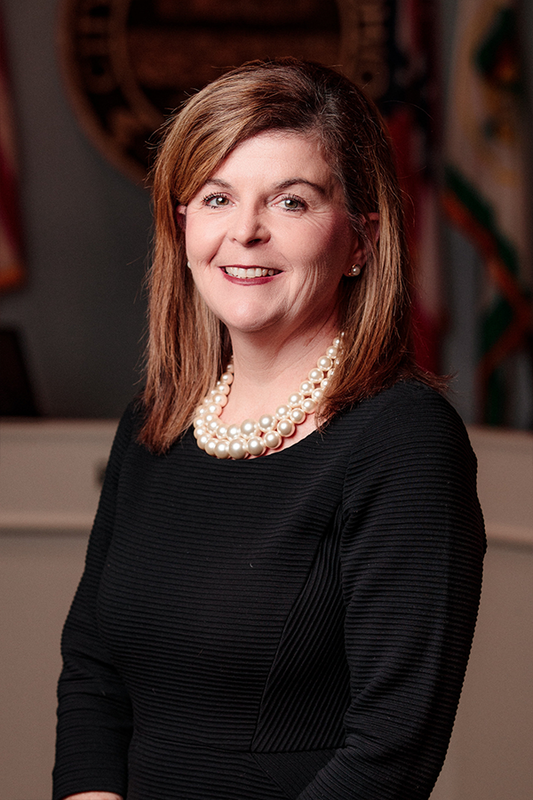 Prior to her election to Council, De Rosa was a member of the Dublin Planning and Zoning Commission and served two terms on the Dublin City Schools Business Advisory Council where she chaired the Communications Committee. De Rosa holds a bachelor of science degree in accounting from the University of Arizona and a master’s of business administration from the Harvard Business School. She and her husband Michael reside in Earlington Village, and have two children, Spencer and Rachel. For 30 years, Council Member Jane Fox has pursued her interests in the support of individual and community wellness. A graduate of Mount Carmel School of Nursing, her background in nursing and interest in fostering relationships motivated an involvement in civic service, small business networking and volunteerism. After working as an emergency room nurse, Fox served more than 20 years on Ohio hospital development boards and auxiliary committees, including Diamond Society of Memorial Hospital of Union County and Mount Carmel Hospital, where she raised substantial funds to benefit community wellness, women’s health and hospice programs. She served as the founding executive director of the Clintonville Chamber of Commerce, where she coordinated and promoted the Clintonville Sesquicentennial street celebration that attracted more than 25,000 visitors. In her role, she was responsible for creating an economic development commission, which brought city leaders together to develop an urban overlay protecting Clintonville’s architectural integrity and forged the early framework for High Street improvements and matching grants. Prior to being elected to Dublin City Council, Fox served 2 ½ years on the Architectural Review Board, which included serving in the role of vice chair. She and her husband, Dr. Thomas Fox, live in Historic Dublin, and have three grown children, Thomas (Becky) Fox, Lori (John) Begley and Dr. Anthony (Dr. Lynn) Fox, and 10 grandchildren and step-grandchildren. 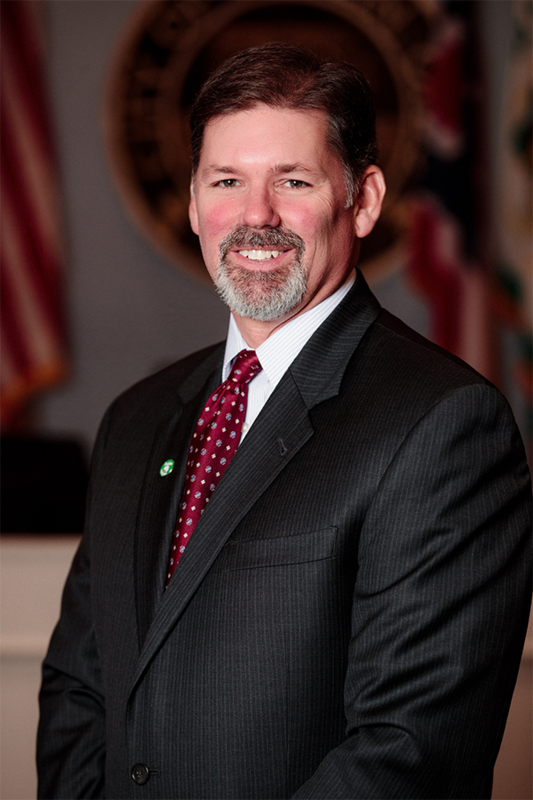 Council Member Michael Keenan’s career in public service began in 1983 when he was first elected as a Washington Township Trustee – a position he held for two decades before being elected to Dublin City Council in 2003. 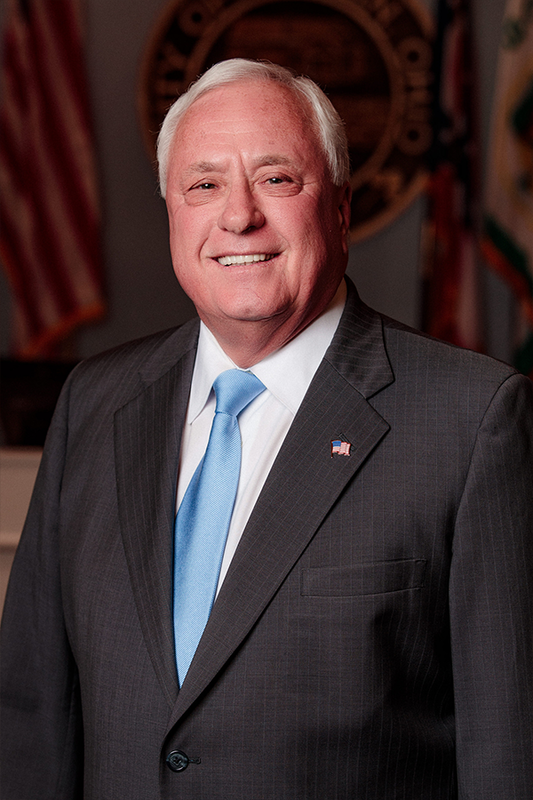 Keenan was elected mayor in 2014, and served a two-year term in that role. He is most honored to have worked on collaborative efforts to grow and expand the Washington Township Fire Department and preserve parkland with the purchase of the property for Darree Fields, Ted Kaltenbach Park and Homestead Park. As a Dublin City Council member, he helped lead the charge for a ban on texting while driving, which strengthened the City’s distracted-driving law. He was appointed by Gov. John Kasich to the Ohio Air Quality Development Authority and currently serves as its chairman, and was appointed by former Ohio Speaker of the House William Batchelder to the Ohio Public Works Commission, which he also serves as chairman. In June 2015, Governor Kasich appointed him as local government representative to the Ohio Collaborative Community-Police Advisory Board. Keenan is past president of the board of the Dublin Arts Council, and served six years as a board member and secretary for the Ohio Township Risk Management Authority. Keenan is president of The Keenan Agency, which is located in Dublin and provides personal, commercial, life and health insurance to individuals and businesses. He holds a bachelor’s of science degree from The Ohio State University and earned the designation Chartered Property Casualty Underwriter in 2002. Keenan and his wife Jill are the parents of three children, Ryan, Kelley and Katelin, and reside in Coventry Woods. Prior to serving on City Council, John Reiner was a member of the City of Dublin Planning and Zoning Commission for eight years. He was chairman of the Forestry Commission from 1980 to 1984, and wrote the first comprehensive beautification laws in the state of Ohio, which later were adopted by many communities across the country, including Hawaii. As a Council member, he is most proud to have been involved in early legislation, which set the groundwork for the beautiful aesthetics found in Dublin today, from bike paths to underground telephone wires. He also is passionate about the City’s role in supporting a healthy community. Reiner, a veteran, held the rank of captain in the U.S. Army, and is a distinguished military graduate. He holds a bachelor’s degree in government and international affairs from The Ohio State University, and is a registered landscape architect and urban planner. He attended continuing education courses in 1982 and 1983 at the Harvard University Graduate School of Design. Reiner has received numerous national and international design awards, including the American Society of Landscape Architecture Honor Award for writing progressive legislation to advance American civilization and culture. He was awarded a knighthood from The Sovereign Military Order of Malta by the Vatican, and he and his wife Sheila received the Pope Leo XIII Award from the Pontifical College Josephinum. Reiner also is a recipient of the Dublin Citizen of the Year award, and was selected as a community hero to carry the Olympic torch on its way to Atlanta in 1996. Among his many civic duties, he has served the Franklin Park Conservatory, Color Columbus, The Topiary Board, The Ohio Nursery & Landscape Association Highway Beautification Board and The Japanese/American Arts Board, and is a member and past president of the Muirfield Association. In 2016, Ohio Governor John R. Kasich appointed Reiner to a five-year term on the State Board of Landscape Architect Examiners. Reiner is president and owner of Oakland Nurseries Inc. He and Sheila have four children, Genevieve, Erika, Max and Alexis, and reside in Muirfield Village.